The paper industry is the most important employer within the manufacturing industries in Bengtsfors. Other large industrial enterprises are found in the sector of packaging, food stuffs, and horseshoe nails. The line of business with the highest number of companies in the municipality is agriculture and forestry. Tourism is growing proportionally to the increasing interest in outdoor activities, and in this area, the municipality of Bengtsfors has major natural assets. In part, the vast wilderness consists of land without any roads. On top of that, one-sixth of the municipality’s surface consists of water; lakes, streams, and the Dalsland Canal which has only in part been constructed by Man – most of the canal consists of fissure-shaped lakes*. The Bengtsfors municipality has several well-structured industrial estates that are situated close to arterial roads. Here you will find land, premises and existing industrial structures that those who decide to move here can benefit from. The municipality’s planning projects space for even more industrial areas. There are several locations for commercial spaces and offices within the municipality. The Paper Province is an international network that coordinates and develops the cooperation between member companies within the pulp- and paper technology industry. The Swedish member businesses are from Dalsland, Värmland and the Örebro County. 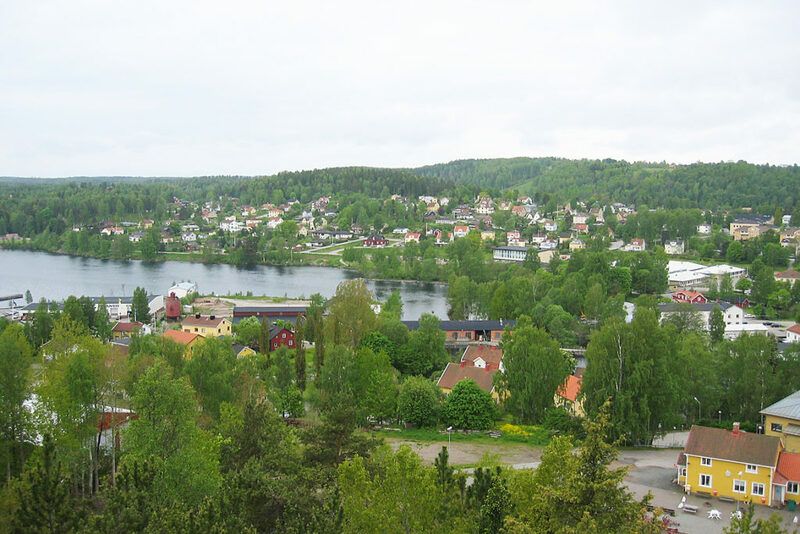 The objective of the Dalsland Tourist Agency (Dalslands Turist AB) and the non-profit organisation Dalslands Turism is to develop tourism in Dalsland, and many businesses from Bengtsfors are part of this network. Bengtsfors Utvecklings AB helps with creating the conditions for renewal, development and broadening of business activities and the positive community development in Bengtsfors. Utvecklingscentrum+ provides a meeting place for all inhabitants and visitors of the municipality; potential entrepreneurs, businessmen and students, etc. The cultural network of Bengtsfors is a network for professionals in the field of theatre, crafts, the arts, music, literature etc. If you choose Bengtsfors as your residence, you’ll get a stunning environment to live in. The chances youll find housing close to a lake or with close contact to nature are almost a hundred percent. The price for buying a plot with connections for water and drains is very low compared to the big cities. The local real estate agent has a range of properties for sale. If you prefer to live in a rental apartment, you’ll find plenty of alternatives in the more rural areas within the municipality. Bengtsfors is situated along county road 172 and 164. By car, it takes just shy of 30 minutes to reach the E45 in Åmål, and less than 45 minutes to get to the E45 in Mellerud. The closest airports, in both Norway and Sweden, are approximately 80 minutes away. A considerable part of culture and leisure is provided by the many active associations in Bengtsfors. The involvement is both deep and broad, and the associations take major responsibility for cultural and leisure life to blossom. The art gallery in the centre of Bengtsfors provides an open arena. Anybody is allowed to exhibit his or her works of art, free of charge. With such a lot of water in the municipality, boating obviously plays a major part, both with moorings and a marina in the centrally situated town of Bengtsfors. The Dalsland canoeing marathon with its 55 kilometres length is Sweden’s biggest canoeing competition with participants from many countries. If you want to go swimming out in the nature, you’ll find possibilities practically everywhere. Apart from that, the municipality provides organised swimming facilities on nine locations. * Lakes that came into existence due to cracks in the underlying bedrock.